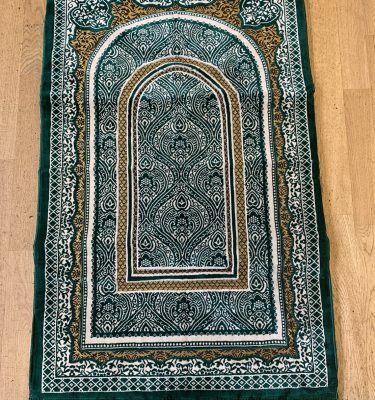 Praying on a hard floor is not great for the knees, and many potential customers mentioned knee problems looking for a thick padded prayer mat. We found this awesome quirky solution. A bit like a Yoga Mat – incredibly soft and easy on the knees. 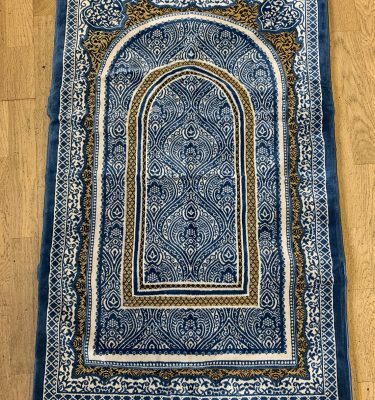 If you are thinking you already have a dozen prayer mats at home, but none are padded you can simply place your favourite prayer mat on top to give you the cushioned feel you are after. Because it’s made from sports grade materials it will perform and retain its softness and elasticity time and time again. 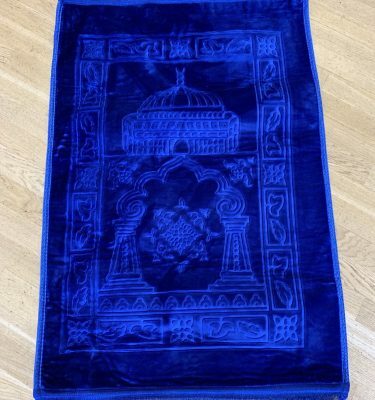 You can only appreciate the difference this mat makes to your daily rituals by stepping on one yourself: ‘feeling is believing’. A truly wonderful experience; time and time again! And when not in use the mat rolls up quickly and comes with its own elasticated strap for easy transport and compact storage. Keep up to date with announcements, discounts and giveaways!